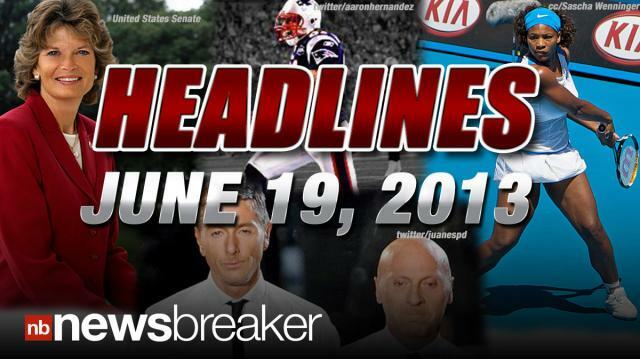 Headlines from around the world for Wednesday, June 19, 2013. Among them are Republican Senator Lisa Murkowski came out supporting gay marriage, fashion duo Dolce and Gabbana are sentenced to jail time for tax evasion, and New England Patriot Aaron Hernandez is not ruled out as a suspect in an active homicide investigation and is reportedly being uncooperative. Host @DavidBegnaud delivers breaking news and today's trending buzz in 45 seconds.